The information presented on this page was originally released on July 22, 2011. It may not be outdated, but please search our site for more current information. If you plan to quote or reference this information in a publication, please check with the Extension specialist or author before proceeding. 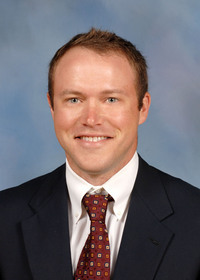 MISSISSIPPI STATE -- Mississippi could join Texas, Oklahoma and other southeastern states in widespread shortages of hay and forages if dry conditions continue. 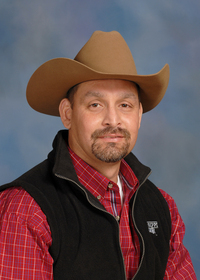 Rocky Lemus, forage and grazing systems specialist with Mississippi State University’s Extension Service, said Mississippi cattle producers are seeing about 50 percent losses of pasture and hay production. “The southwestern part of the state is very dry. Spotty showers have provided some relief, but much more rain is needed statewide,” Lemus said. Drought conditions can cause more challenges than just shortages in grass and hay. Lemus said when rains help green up pastures, producers should delay returning cattle to allow time for the grass to recover. Bruce Roberts runs a cow/calf operation in Pearl River County. He said the early summer drought hurt water supplies in ponds before impacting grass. Eventually, his pastures became too short, too. “It was really ugly by the end of June, but it’s looking much better now. I had to feed some ryegrass hay around the first of July before we got a good rain that got the grass growing again. The cattle are in good shape because of the mineral program they have been on,” Roberts said. Still, Roberts predicts a “mad rush” to get hay for this winter. “I had put up 600 bales early in the summer, then had to feed 90 of them. We will need a total of 1,100 to get us through the winter,” he said. Jane Parish, Extension beef cattle specialist, said producers are experiencing high feed prices at a time when grass is in short supply. Many producers are lowering their stocking rates to compensate for grass and hay shortages. Another strategy is to wean sooner than normal to give cattle time to recondition before the next pregnancy. Flooding along the Mississippi River caused problems for a handful of cattle producers this year. Parish said most Mississippi cattle producers are in much better shape than those in Texas and Oklahoma.